CNCRT 51: WHAT"S NEW IN VECTRIC ASPIRE V9? Bill Griggs talks about what's new in Vectric Aspire V9. 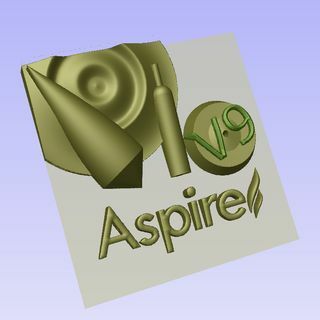 Vectric just released it's newest version of all their software including V9 of Aspire. We take a look at the 6 new major features and several minor features that were added to the V9 release. Vectric focused on making the drawing process easier, more powerful and quicker for the user by adding these six new features. 2 sided ... See More capabilities - Create two sided jobs and visualize them in the same session. Mirror mode - Allows you to define a component level so that it mirrors all its components. one way of thinking is that you can place virtual mirrors in the center of your job, vertically and/or horizontally.